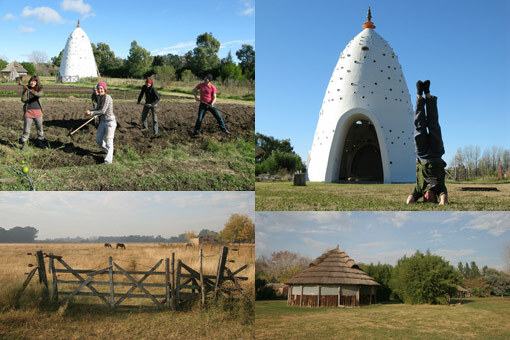 This podcast has been recorded whilst I’m volunteering at an Eco Yoga Park near General Rodriguez, 60km west of Buenos Aires in Argentina. Run by Hare Krishna devotees, and known by its other name Nueva Vrindavan, the Eco Yoga Park proved to be a wonderful break after nearly 8 months on the road. At only US $12 a day for food accommodation and yoga and meditation classes, it was also great value. great little documentary…! let’s get jordan out there on a detox. Thanks Thakur….I had a great time thanks to all of you at the Eco Yoga Park. I hope we meet again soon :-). Thanks Duncan! I hope things are going well in Australia for you…! Hi Tom. Nice website. jejeje…sorry. Wonderfull web site. Thanks for your time and plis come to visit us any time you want, any place you are. Hey! thanks so much for posting the podcast and video. They are the best souvenirs we have of the farm and make us soo happy to watch. Especially CHOMP CHOMP. We’ll def pay attention to your other blogs too when we have the time. We watched the one of the Guru in the truely and that was awesome. I really really enjoyed this podcast. I’m currently making plans to spent an indefinite amount of time at the park beginning in mid November. Thanks for sharing your experience.